You should then see a box similar to the one below. 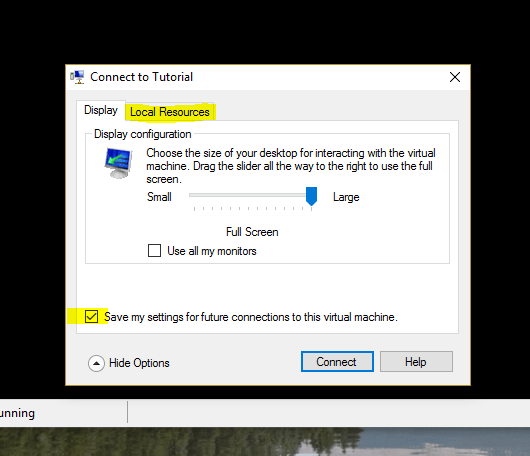 On the dialog box, you can select which resolution you will connect to your VM and whether or not to use all your monitors. Click Show Options. Once you click the Local Resources tab, you will get the following box. 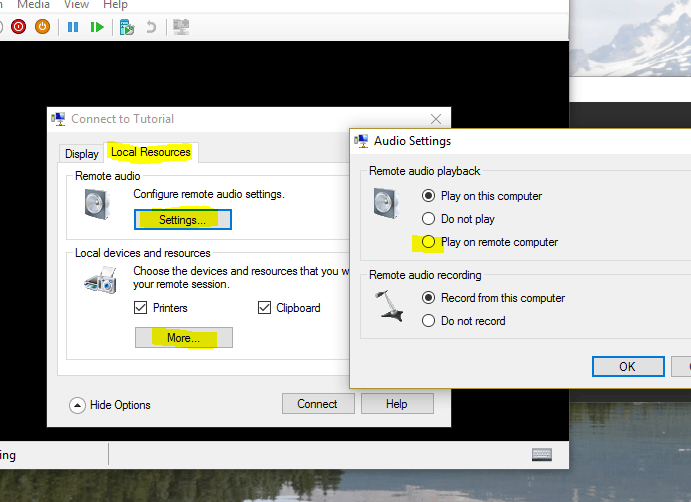 Under Local Resources, you can specify your remote audio settings as well as whether to use your printers and clipboard, etc. Just make sure to save your settings. I hope this helps! If it did please consider following me on Twitter and check out my YouTube Channel for more tips. Please explain how this will enable multiple monitors………..
Hello noby, this article solves your problem ! Thanks. 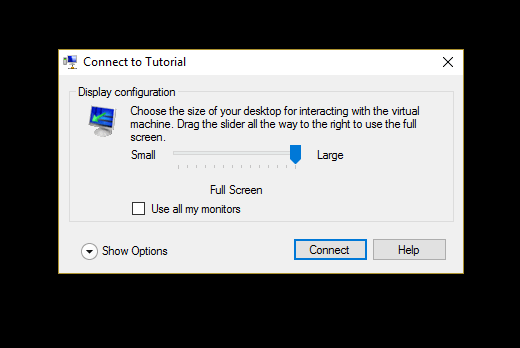 To add more monitors, just exactly follow the steps, at resource, click available monitors (if displayed), enable PnP since almost all monitors are simple plug n play devices, this means no need extra driver or config for each PnP. Also tick recognize device I plugged later.